Due to high demand, I'm not taking new orders at the moment. Please enter your email address on my home page to receive a notification when I'm open again! Do the Corsair SF450/SF600/SF750 cables work for both the gold and platinum versions of the PSU? Yes, all Corsair SF models use the same Corsair Type 4 pinout. The cables are interchangeable. The only difference between the gold and platinum versions is that the platinum models require the sense wires to be installed on the 24 pin. Why do you ask for my motherboard model? I ask for your motherboard model so that the cables can be as close to the exact length needed from the PSU to motherboard as possible. If you already have some of my cables and are considering an upgrade, take a look at the 24 pin and EPS power connector placements from the current motherboard to new motherboard. If they are in the exact same position or close, the cables should fit. Why do you ask for my GPU model? I ask for your GPU model so that the cables can be as close to the exact length needed from the PSU to GPU as possible. The provided model must also include the manufacturer, as some companies orient the power connectors on the GPU in different directions. 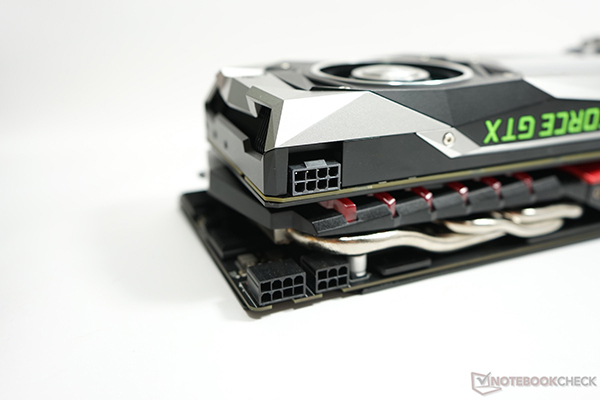 EVGA/Nvidia Founder’s Edition/AMD reference cards have the power connectors oriented like the top card in the photo, whereas Asus/Gigabyte/MSI/Zotac/Sapphire cards have the power connectors in the same direction as the lower card in the photo. Other variables are taken into consideration too, such as length and height of the card. What are the sense wires? The sense wires are the double wires that are found on the 24 pin cable. These wires sense the voltage at the motherboard end and do not send any voltage of their own. Corsair, Silverstone, and Seasonic use four sense wires and EVGA uses five. They are used to monitor the 12v, 5v, 3.3v rails, as well as a ground (with two ground sense wires on the EVGA PSU). Cables for Corsair SF Gold and Silverstone PSUs are still 100% stable without the sense wires installed. Myself and many of my customers have found their overclocks and undervolts to be completely without the sense wires with the above power supplies. However, they are required for stable operation with Corsair SF Platinum, Seasonic, and EVGA PSUs. Why does the 24 pin cable for my PSU appear unavailable when selecting 'No' for sense wires? Please note that while sense wires are not needed for Corsair SF Gold and Silverstone PSUs, they are required for stable operation for the Corsair SF Platinum, EVGA, and Seasonic PSUs. Why do you ask for my specific Silverstone PSU model? Although all Silverstone PSUs share the same pinout, I ask for the specific model due to the placement of the modular power connectors on the PSU being in different places across different models. There is also the size of the SFX-L PSUs to consider. What are the advantages of choosing a 4+4 connector for the EPS/CPU cable instead of an 8 pin? The 4+4 connector allows the connector to be separated into two 4 pin connectors at the motherboard end of the cable (just like the stock PSU cables). One of these 4 pin connectors can then be used on a motherboard that only has a 4 pin connector for CPU power. The connector can later be combined if the motherboard is changed/upgraded to one with a 8 pin CPU power connector. Do you offer sleeved SATA data cables? No, at the moment I only make sleeved SATA power cables. Do you have any “B stock” or pre-made cables? No, I do not have any pre-made cables at this time due to high demand of my made-to-order cables. Do you make cables for the Dan A4 with Asetek 545LC below the PSU? No, at the moment all cables for the Dan + 92mm AIO are on hold until I can find a better solution with Corsair PSUs. A new 92mm AIO from Asetek and Dan A4 V4 are coming soon, at the point I will try to find a better workaround. Do you offer rush processing? Yes, rush processing is now integrated into the product listings. What are your shipping rates to my country? Please add products to your cart to view rates. I offer a variety of international shipping speeds with USPS, UPS, and DHL.